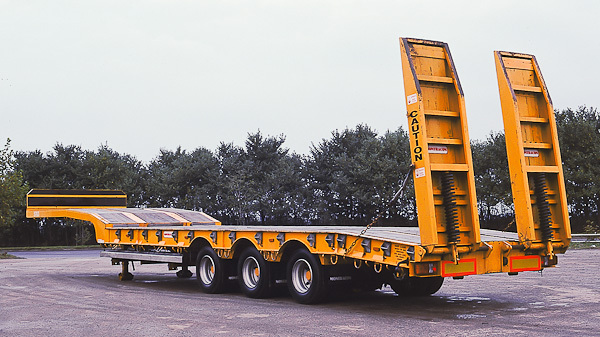 We stock 3 axle step machinery carrier trailers from Nooteboom, Broshuis, Montracon, Dennison, SDC, ARB and TSR. c.35 tonne payload; Broshuis, Nooteboom and TSR are likely to be able to be operated under special types. Beaver tail on the rear of trailer, with hydraulic ramps. Side shift optional.